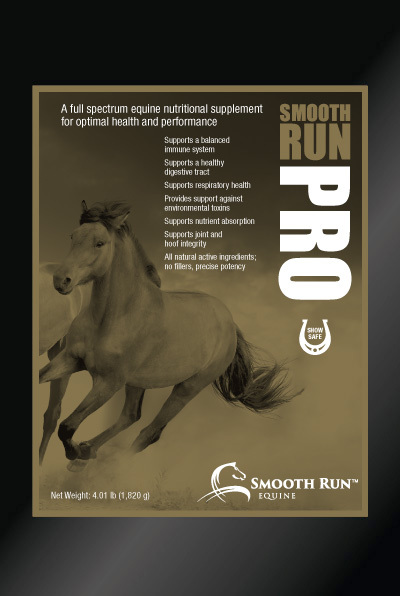 Smooth Run Pro is our top-of-the-line product providing the best nature has to offer. 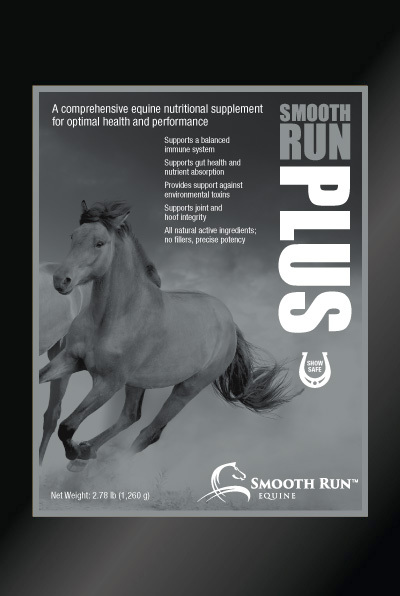 Smooth Run Plus is specially formulated for horses with moderate to high intensity levels of activity or performance and horses that can benefit from added joint support. 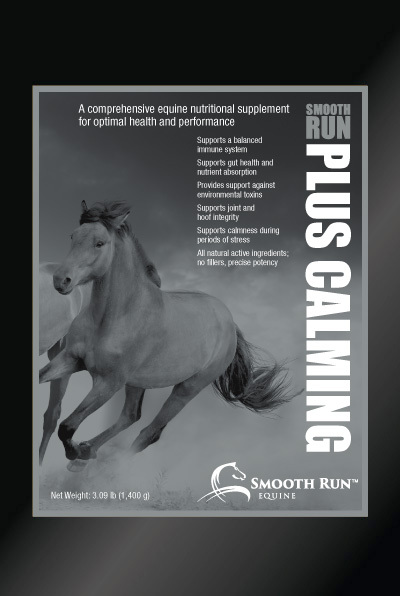 Smooth Run Plus + Calming provides all of the benefits of Smooth Run Plus with additional ingredients to relieve the stress your horse may undergo pre- and post-competition, traveling, intensive training or any other type of stressful situation. 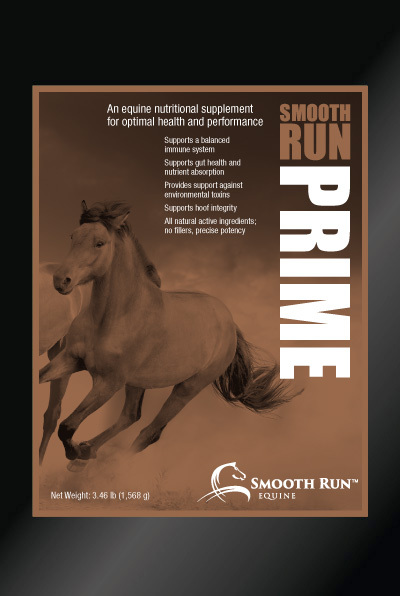 Smooth Run Prime, formerly known as Smooth Run Foundation, is our baseline formula designed to be a proactive and affordable approach to provide your horse with a daily nutritional supplement supporting optimal health and a balanced immune system. 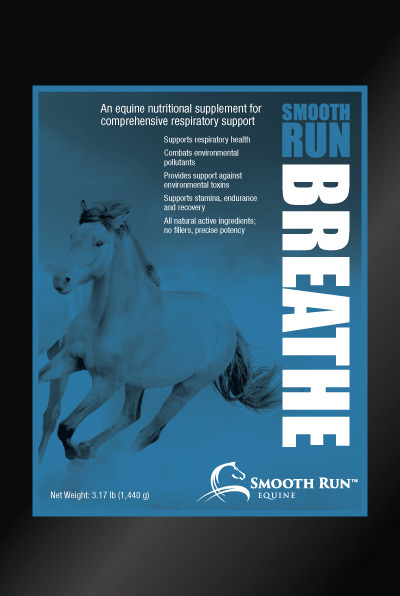 Smooth Run Breathe is formulated to treat symptoms of respiratory distress caused by allergens or exertion in addition to supporting optimum lung function and maintaining the integrity of a healthy respiratory tract. 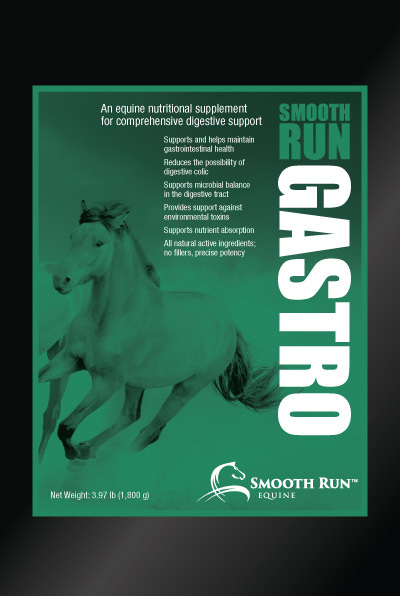 Smooth Run Gastro helps achieve optimum digestive health, particularly in horses with unbalanced gastrointestinal tracts that can lead to ulcers, diarrhea, metabolic issues, cushioning disease and gut-related ailments such as colic. 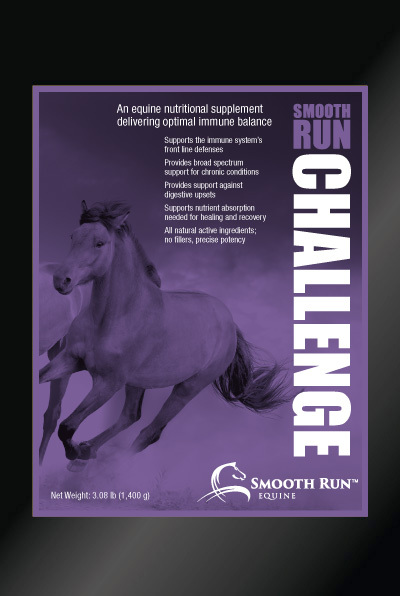 Smooth Run Challenge is specially formulated to provide broad spectrum for chronic conditions, possibly resultant of autoimmune diseases and to support nutrient absorption, crucial during healing and recovery. 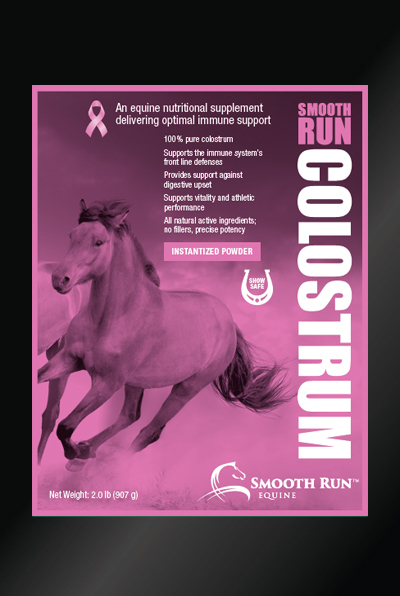 Smooth Run Colostrum is 100% pure colostrum delivering optimal immune support, strength and endurance for your equine athlete. 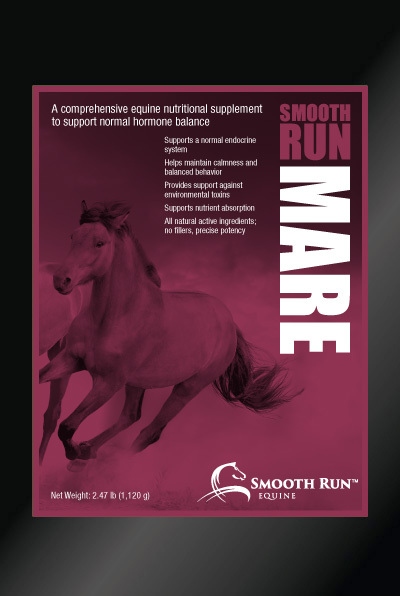 The Smooth Run Mare formula begins with our Prime formula of microencapsulated probiotics, digestive enzymes, amino acids and vitamins and minerals. 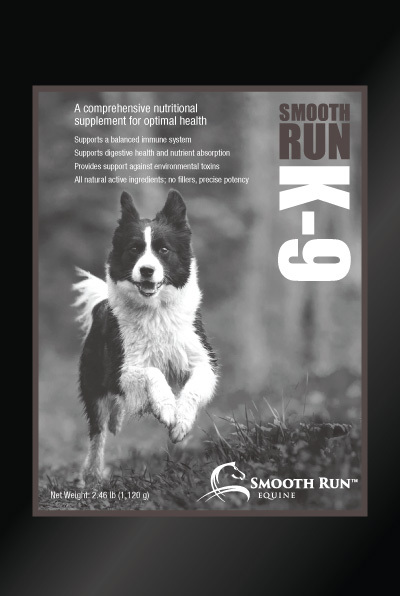 Smooth Run K-9 Smooth Run K-9 blends probiotics, prebiotics, digestive enzymes and minerals with the proper levels of immune supporting vitamins, colostrum and mushroom extracted beta glucan to support digestive and immune health. 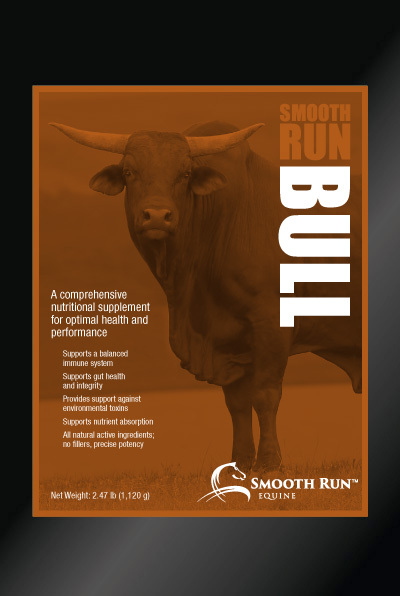 Smooth Run Bull is designed to be a proactive and affordable approach to provide livestock with a daily nutritional supplement supporting optimal health and is a natural way to maximize feed power.